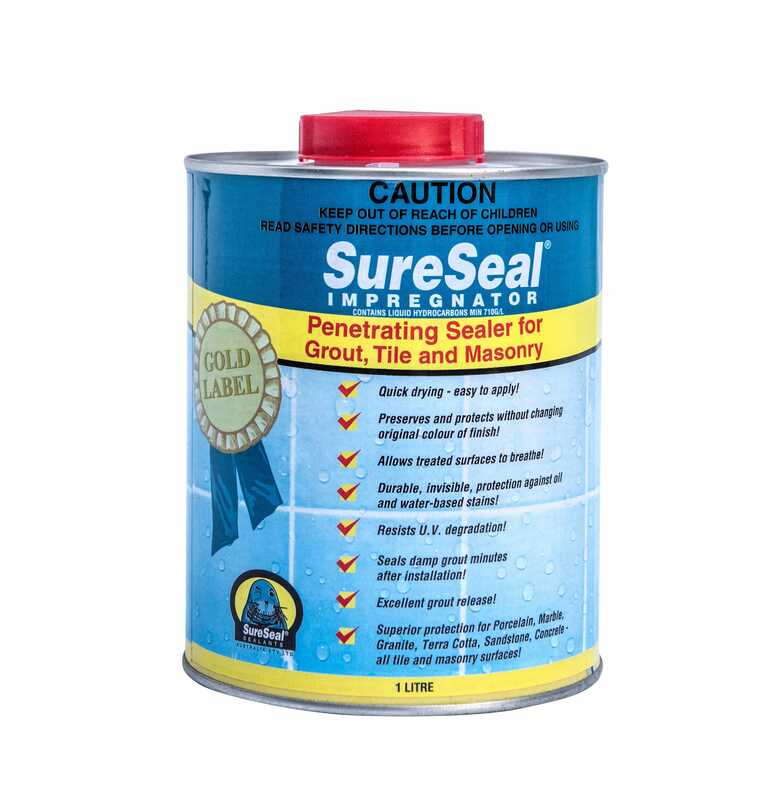 Sure Seal Impregnator – Penetrating Sealer for Grout, Tile and Masonry (GOLD LABEL) in liquid form, uses the same formulation as award-winning Sure Seal® Grout and Tile aerosol sealer. This durable, quick-drying formulation is suitable for all types of tile and masonry surfaces, including grout, (damp/wet or dry), quarry tile, sandstone, terra cotta, limestone, stucco, concrete, porcelain, marble and granite. Helps protect treated surface against penetration of oil and water-based stains. Retains the natural appearance of the tile/stone surface and will not effect the co-efficient of friction. UV light resistant and allows the treated surface to breathe. Excellent for both indoor and outdoor use.